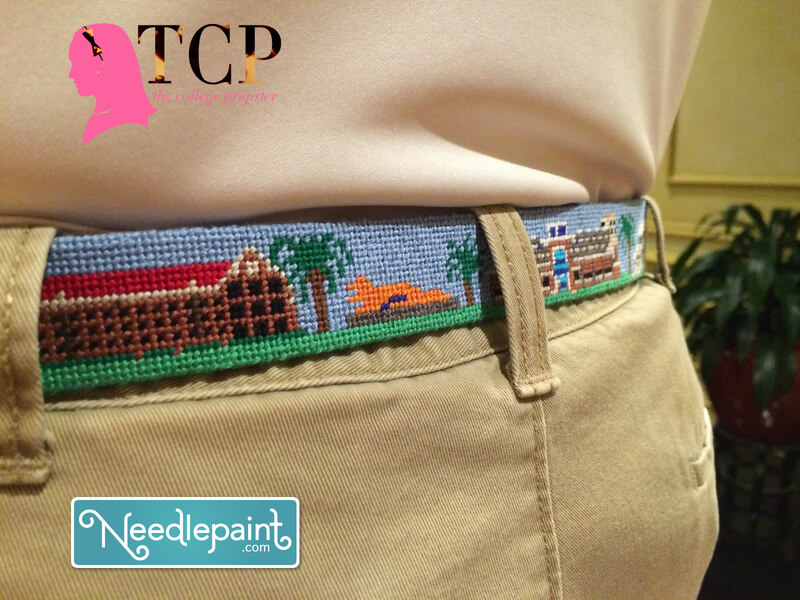 We just finished a new Nantucket needlepoint belt design this week. The timing is perfect for the upcoming holiday! This design features a silhoutte of Nantucket combined with the American flag. If you live on another island or would like us to incorporate an American flag into a state silhoutte, let us know, we’d love to help! 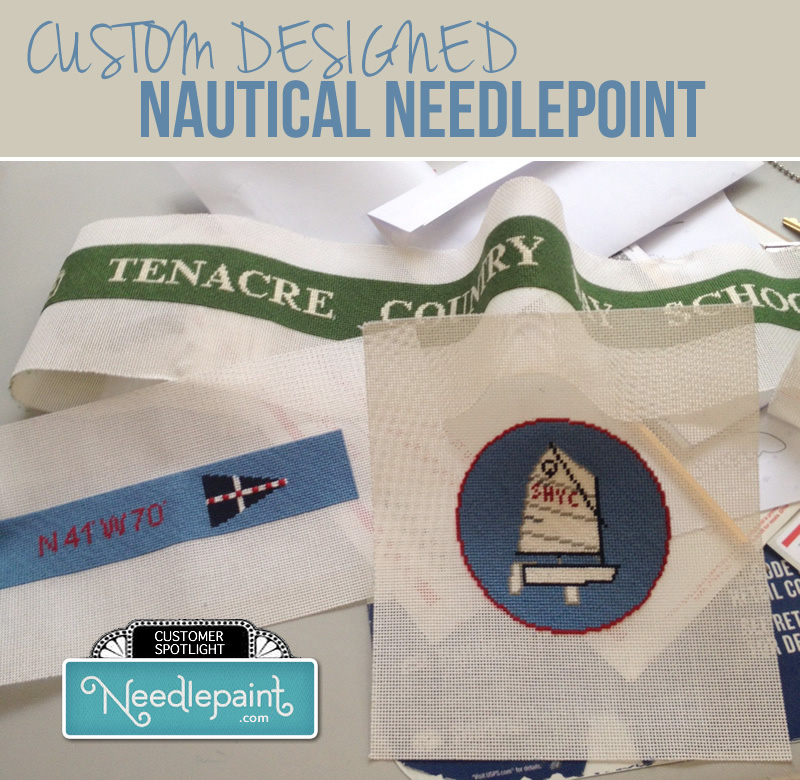 The image below features the Nantucket design and 3 other American favorites from our shop. Just in time for the 4th of July! 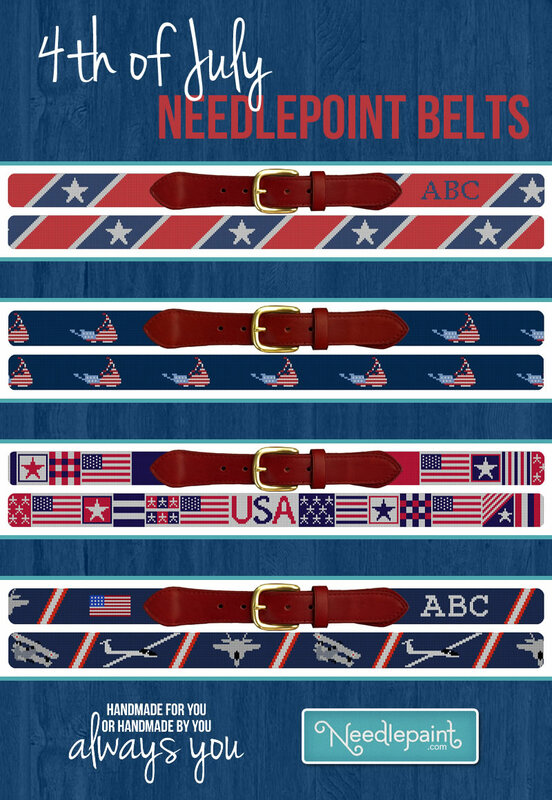 The other designs are the Stars and Stripes Belt, 4th of July Flag Belt, and the personalized Airforce Belt. 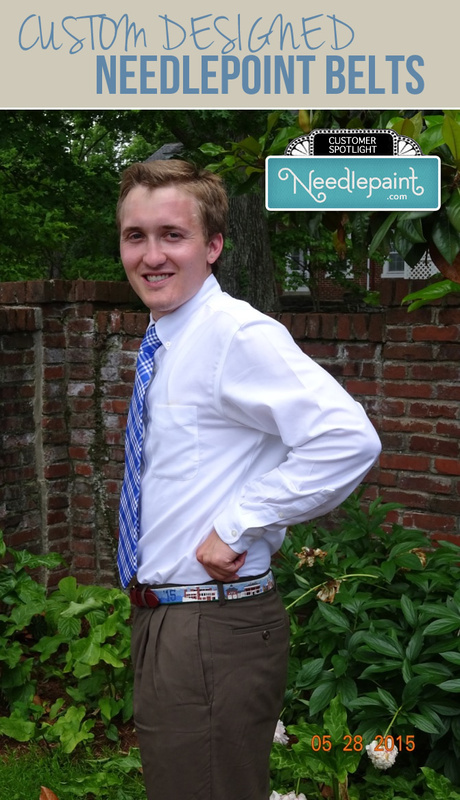 Our customers do some amazing work, and helping them create custom needlepoint belt designs is what makes this job fun! Attached are a few projects recently finished. Jenny in CA has stitched the Surfer’s Healing Belts and Key Fob which are going out for a great cause. She also needlepointed the nautcial designs shown at the bottom of the post. 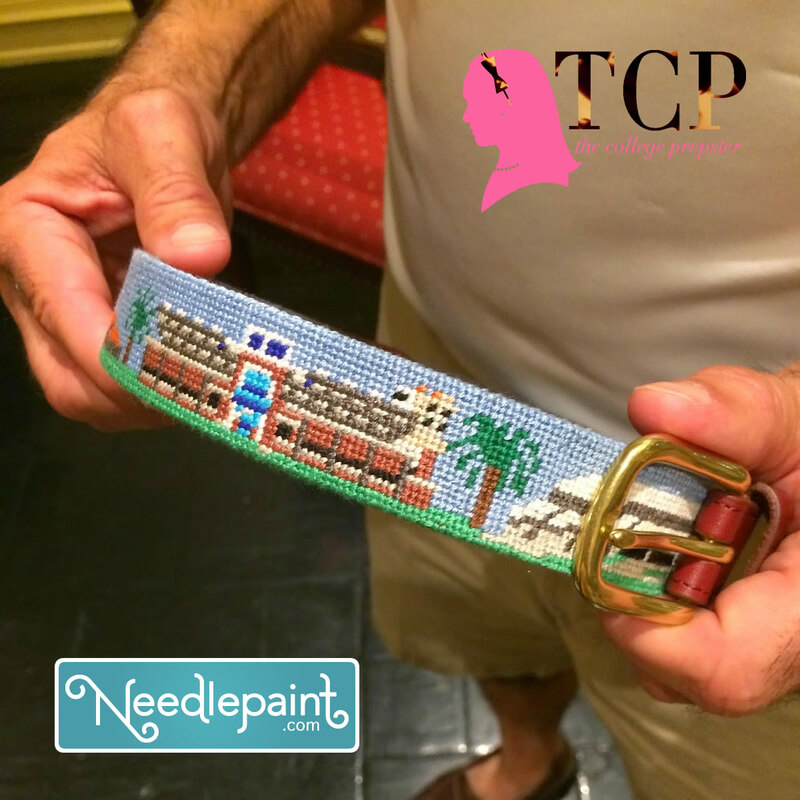 Allie in NY has finished another surfboard needlepoint belt! I love working on these projects and thanks to Jenny and Allie for sharing the photos! Jenny has recommend hilltop leather as they did the finishing on Red and Khaki belts. Last week we finished up some fun needlepoint canvases that have a LOT of detail. The customer wanted as much as possible, so we decided to use 24 count congress canvas. The detail is amazing! The other request from the customer was that instead of stitch counted, she wanted “photo” canvases. She still is using the stitch charts, but likes to improvise so wanted to catch all the detail possible.